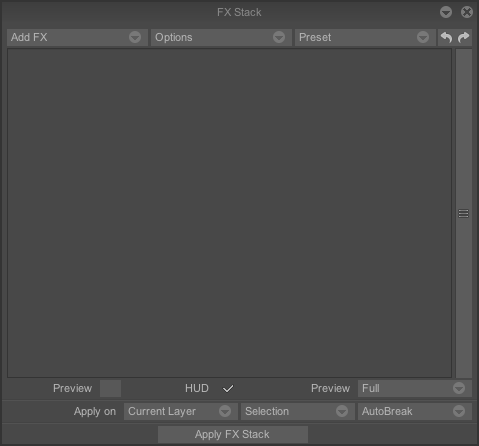 It is possible to set the parameters for your effects in a special window (for example : the power of a blur, the luminosity of the animated footage, the speed of a fade …), this is the FX stack. You call up the FX stack by clicking on the FX icon in the tool bar or by selecting FX stack in the Windows > FX Tools main menu. The Add FX popup menu contains all the effects indicated previously: the menu is identical to the Effects main menu.